Greenhouse is basically a hothouse or glasshouse in which crops are grown in proper and hygienic environment. It helps in maintain favorable conditions of temperature, humidity and emission of gases in control. These structures may be of various sizes and shapes. Offered greenhouse products are designed to meet the needs of various greenhouse structures. Our range of greenhouse products includes air circulation fan, exhaust fan, greenhouse films, greenhouse cooling pads and greenhouse shade nets. These are designed to show excellent results and are easy to use. We being the leading manufacturer and supplier in the domain, we offer Negative Ventilation Exhaust Box Fan to our valued client. Build for facilitating ventilation process, we employ latest techniques to ensure that our offering is in compliance with the changing trends of the industry. These fans are manufactured using aluminum-magnesium alloy to provide high-strength to Our Negative Ventilation Exhaust Box Fan. The fan blade is stainless steel, big air volume, without distortion, no broken, attractive and durable. Adopts automatic belt tensioner which can adjust up and tight so that the belt can not loose and drop. The belt pulley adopts more stiffening rib and processed by sandblasting, become attractive, eliminate the internal stress and increase own strength efficiently.France imported axletree (Bearings), high intensity, low noise, long service life. Variety Sizes of shape and install conveniently. Size of shape (Blade): 620mm (24"), 780mm (30"), 830mm (32"), 900mm(35"), 1000mm (39"), 1100mm(43"), 1220mm(48"), 1380mm(54"), 1530mm(60"). We can manufacture A type belt or B type belt according to the sale of the dealer and satisfy different needs customers. Greentech fans were adjusted by advanced computer balancing tester, to smooth operating, reduce noise, enhance stability, extend service life. Frame Cooling Pad is designed by using superior quality material and extensively used in different greenhouses for cooling applications. These pads ensure long lasting effectiveness, fast speed of pervasion and excellent water absorption capacity. It is made as per international industrial standard and follow the moisture evaporation mechanism. 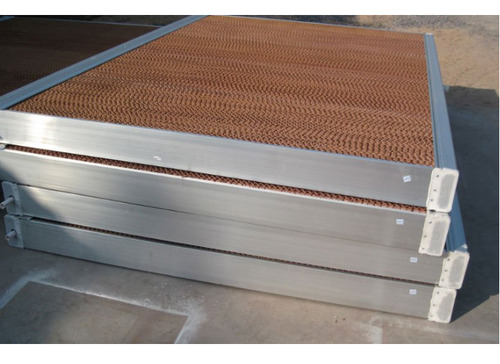 In this Frame Cooling Pad , moisture is evaporated which further lowers the temperature automatically. Further, this also produces various negative oxygen ions which effectively increase the amount of oxygen in the air. Besides, these have specific stereoscopic structure, which offer the maximum evaporative surface area for heating exchanging between water and air. These are exclusively designed for comfort cooling of crops. 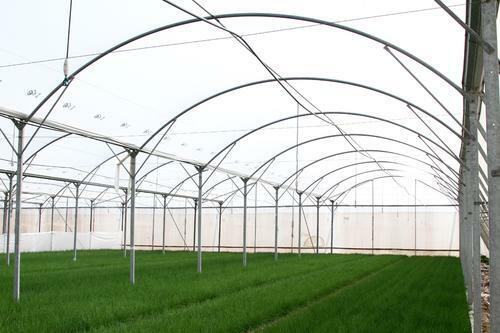 Greenhouse films are extensively demanded in different agricultural industries. These are generally made by using supreme quality polyethylene. These are available in various thickness or single or double layers depending upon the insulation needs of the clients. Clients can avail these in various range including 4 year film, white film, 1 year film, anti-condensate film and many others. Designed following international industrial standard, these are ideal to maintain better heat distribution and also to keep the plant environment warm. Besides, its excellent quality provides the benefit of excellent light transmission through long lasting covering. Greenhouse Films ensure imitation of flower bud production. 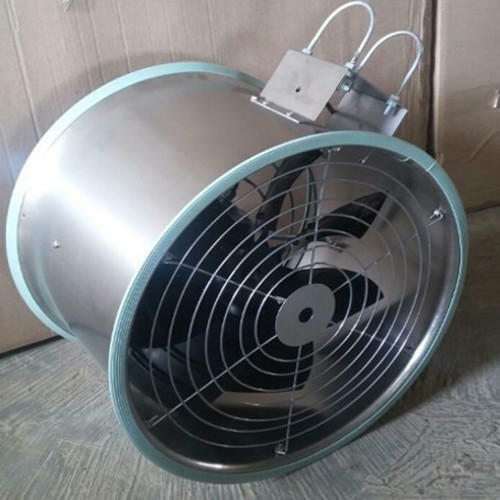 Air Circulation Fan is widely demanded in different poultry farms and greenhouses. These are ergonomically designed and developed as per international industrial standard and reduce the hot and cold spots and provide an even temperature. These are manufactured from unmatched quality components and by implementing best available techniques. 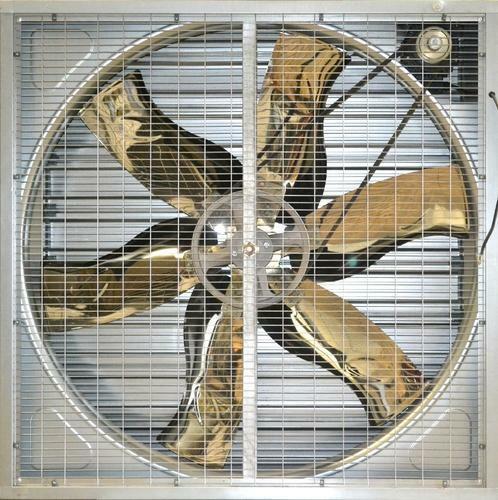 This Air Circulation Fan is available in various models, sizes, and specifications as per the demands of clients. These are ideal to use for both summer and winter ventilations. These are straightened with Long line efficient ball bearing motors and strongest post mount bracket, which ensure its excellent performance and longer service life.